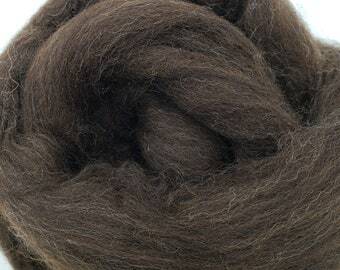 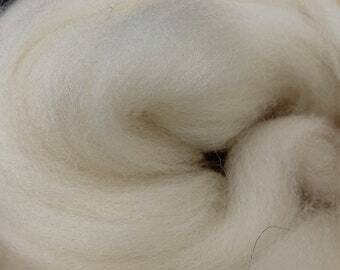 This natural off white Wensleydale combed top is ready to be spun or felted. 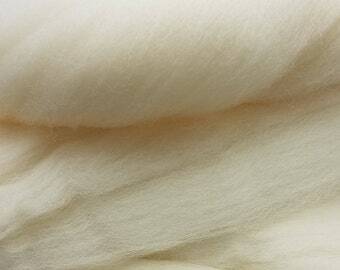 It is a strong and lustrous wool. 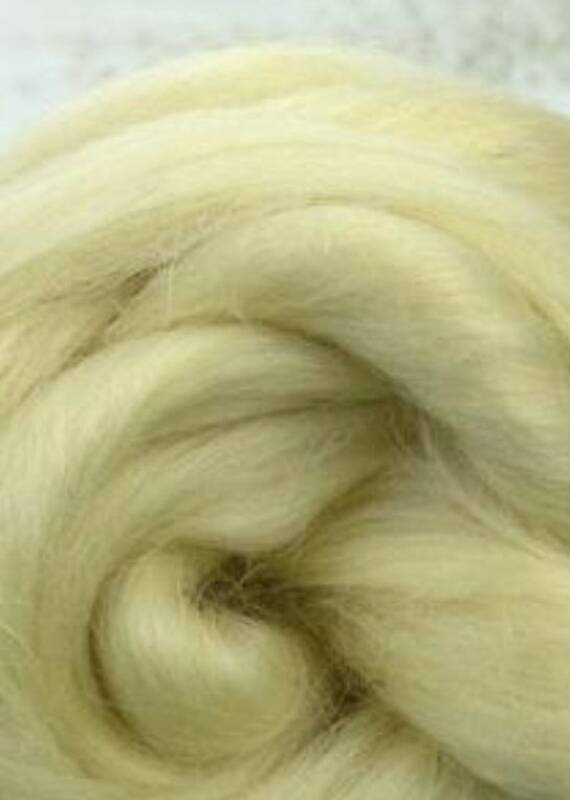 It spins well with a lower twist worsted draw. 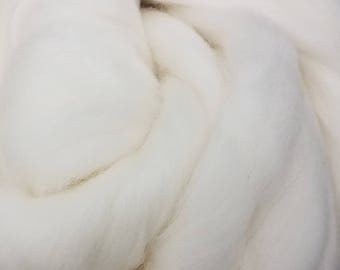 Wensleydale has a longer staple length at 4-6 inches, an average micron count of 40-50, is perfect for adding strength or for outerwear and it takes dye well.